Continue the story of the Sixth Age with Missing, Presumed Death. This quest is the first of an all-new series, featuring supernatural sleuthing; famous faces aplenty; scaled combat against the walking dead; full voice acting and a coffin-load of cool rewards suitable for all levels. Missing, Presumed Death sets the scene for what will be one of the Sixth Age's core storylines. 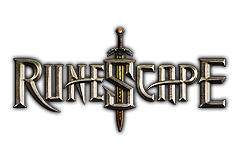 RuneScape lore fiends: you won't want to miss this! Icthlarin Brother Samwell's led a cloistered life, and it could never have prepared him for this. He's the sole survivor of a horrific massacre - his fellow Saradominist monks lying dead around him. To make matters worse, their souls are trapped in the mortal world, unable to pass into the afterlife. You'll team up with Icthlarin - god of the Underworld - to get to the bottom of this macabre mystery, searching for clues and questioning witnesses to deduce what has happened here. Who killed these defenceless monks? Why did they leave one alive? Where is Death, who should be freeing these souls from their fetters? And why does it feel like this is the start of something greater and more terrifying than the world has ever seen?